Point2 Homes gives you far more than a simple list of houses for sale. Get instant access to a lot of relevant information about Cold Lake, AB real estate, including property descriptions, virtual tours, maps and photos. The search results pages also have a wealth of information on Cold Lake, AB, if you scroll all the way down. 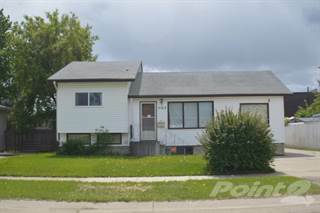 There are 141 houses for sale in Cold Lake, AB. 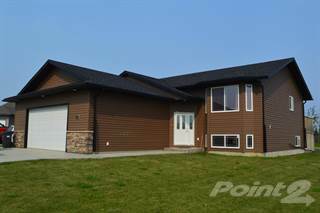 Searching homes for sale in Cold Lake, AB has never been more convenient. 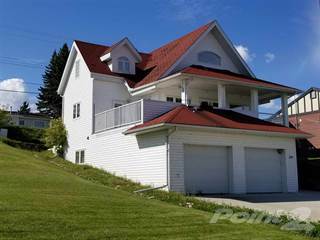 With Point2 Homes, you can easily browse through Cold Lake, AB single family homes for sale, townhomes, condos and commercial properties, and quickly get a general perspective of the real estate prices. Also, you’ll never miss a bargain if you filter listings based on house price drops in the past six months. Use the map view to find Cold Lake, AB homes and apartments for sale, based on amenities or city features that you may want close by. You can close in on a specific neighbourhood or area by simply drawing around them with the polygon or radius tools. Stay informed about the latest entries on the real estate market by saving your searches. This way, you get new listings in your inbox, daily or every week, based on your preferences. If you’d like to get in touch with a professional, agents are displayed next to their listings, and they’re easy to contact through the online forms. If you want more options, you can click the Tools tab and Find an Agent, and you’ll get a list of helpful and knowledgeable real estate agents in Cold Lake, AB. Visit the Point2 Homes blog and you can find up to date expert advice on many markets throughout Canada, regular market reports, neighbourhood scoops in cities throughout the provinces, real estate deals and useful recommendations. Located along the eastern edge of the province, Cold Lake covers 59.92 square kilometres and is home to over 15,000 people. Cold Lake, named after the lake that borders its northern edge, is located near the communities of Cherry Grove, Beaver Crossing, Fort Kent, and LaCorey. The city was formed when three small communities merged to form one larger community. Two major highways run near the city: Highway 55 and Highway 28. The area around Cold Lake is mostly farmland and tends to be sparsely populated. Residential areas, beach areas, a campground, a hospital, restaurants, parks, schools, accommodations, service providers, a marina, a fire station, a bowling alley, and shops make up the northern section of Cold Lake. The central section of the city has residential areas, restaurants, churches, schools, a seniors’ society, beach areas, parks, an arena, and a campground. In the southern section of Cold Lake, there is a military base, a golf course, residential areas, restaurants, parks, churches, an arts centre, a campground, accommodations, service providers, schools, a library, government offices, an RCMP office, shops, a post office, a movie theatre, a mall, and a college campus. The Cold Lake Museums are a group of four buildings with various historical artifacts, documents, and photographs. They include the Air Force Museum, the Oil & Gas Museum, the Heritage Museum, and the Aboriginal Museum. The Air Force Museum offers information about the history of 4 Wing Cold Lake, while the Oil & Gas Museum focuses on the development of the oil sands industry in the area. The Heritage Museum provides a glimpse into early pioneering life in the area, and the Aboriginal Museum explains the history of the First Nations people who still live here today. Cold Lake Provincial Park is located north of the city and is a popular location for swimming, windsurfing, fishing, birdwatching, hiking, sailing, boating, waterskiing, wildlife viewing, canoeing/kayaking, cross-country skiing (winter), snowshoeing (winter), ice fishing (winter), and camping. Animals and birds in the park include moose, deer, coyotes, lynx, bears, fishers, garter snakes, ducks, thrushes, warblers, flycatchers, gulls, wrens, pike, perch, walleye, and lake trout. The park includes beach areas, forested areas, and open greenspace, as well as a marina and a playground. The Canadian Forces Base in Cold Lake is a major economic contributor to the city. It is one of the main employers of local residents. Other major industries in Cold Lake include oil and gas exploration and production, retail, construction, education, services, and small local businesses. The lake and provincial park also encourage tourism in the area, which boosts the local economy. The Cold Lake Chamber of Commerce provides information, resources, support, and promotion for local businesses of all sizes and types. The majority of real estate found in the northern section of Cold Lake is newer-built, mid-priced single-family homes. There are also a number of large luxury homes with higher price tags, as well as vacant land that tends to be pricey. Home prices tend to decrease the closer the properties are to the central section. Condo options and commercial space can also be found closer to the central section. The central section is made up mostly of a mix of newer and older single-family homes at low- to mid-range prices. Newer homes and vacant lots tend to be found in the western area of this section. Affordable single-family homes and condo options, vacant land, and a variety of commercial spaces can be found in the city’s southern section. Mobile home options can also be found in a few locations here. Large, expensive luxury homes are located along the southernmost edge of the city and are normally situated on sprawling lots. Schools in Cold Lake include Cold Lake Middle School, Holy Cross Elementary School, North Star Elementary School, Trinity Christian School, Ecole Voyageur, R.A. Reynolds School, Mackenzie River School, Cold Lake Elementary School, Cold Lake High School, Saint Dominic Elementary School, Nelson Heights Middle School, and Lakeland Christian Academy. Portage College is the only post-secondary institution in Cold Lake and offers programs in business administration, social work, educational assistance, nursing, office administration, accounting, trades, and university preparation.